The police department is more than 100 officers short of where it should be, Chief Sam Dotson told the committee members. The department is getting as many trainees as possible into the Police Academy, but at least six officers leave every month. "At some point, we need to [offer] incentive [to] people to come to the city. 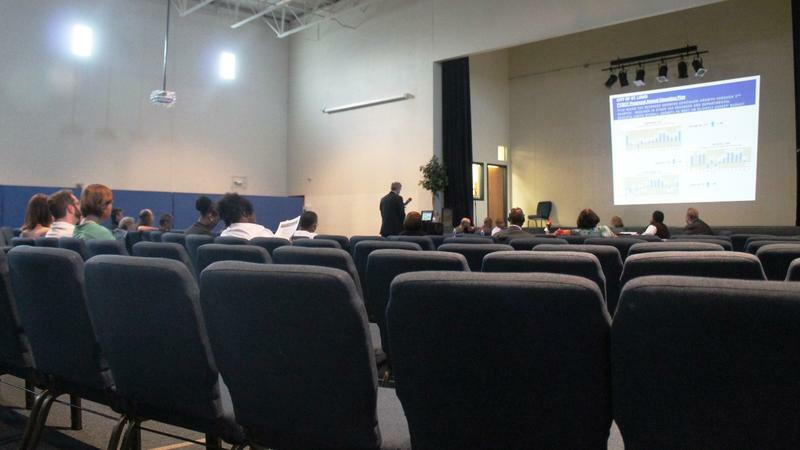 Salaries, signing bonuses, those are all opportunities," Dotson said. "The other thing we have to talk about is growing the size of the police department." 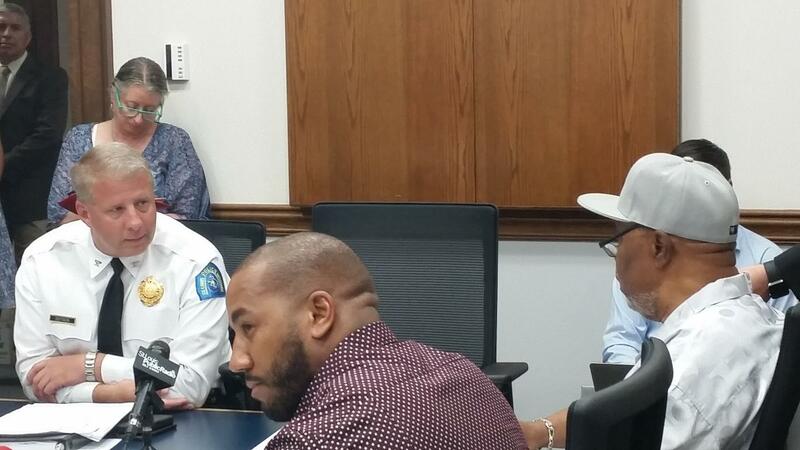 St. Louis Metropolitan Police Chief Sam Dotson takes questions from Alderman Sam Moore (in hat), D-4th Ward, at a meeting Wednesday of the Ways and Means Committee. The department currently uses mandatory overtime to staff all of its cars 24 hours a day, seven days a week, Dotson said, a program that was voluntary until last week. "Our department is tired," he said. "We've got a workload that's designed for more than 1,300 police officers being done by 1,200 officers." Alderman Antonio French, D-21st Ward, and one of Dotson's most persistent critics, was skeptical of the need. The department shrank as the budget shrank, Dotson said, but the workload has grown too much over the last two years for that to be sustainable. 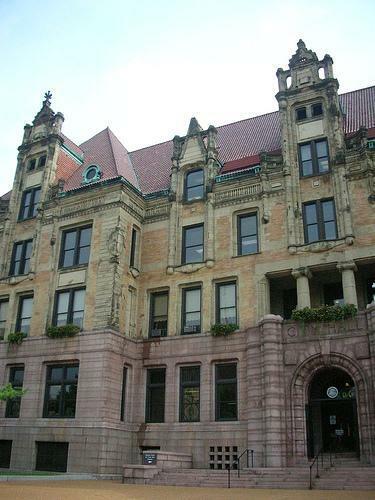 Aldermen seemed more willing to find the $225,000 requested by the circuit attorney's office to pay for several new positions designed to boost the office's community outreach effort. "That sort of grassroots work is not something that we have been staffed for in the past, but it is the direction that our office needs to go," said Rachel Smith, the chief prosecutor of the community affairs bureau. "We absolutely need the funding to sustain that level of work." The funds would allow the department to hire two employees with a social work background to focus on community engagement. They would also pay for a new prosecutor to replace Cynthia Copeland, allowing her to focus full-time on officer-involved shootings. The circuit attorney also wants more funds for overtime so prosecutors can continue to respond to homicide scenes. 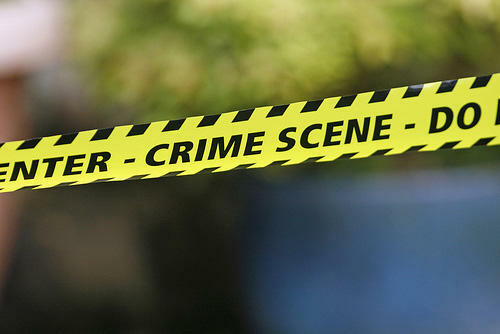 "We are beginning to see the seeds of improvement in the quality of cases brought to us," Smith said. "And I have personally been at scenes where somebody from that neighborhood will recognize me and text me information." Carpenter, the recorder of deeds, asked for a per-diem employee to help her address account reconciliation issues brought up as part of a 2016 audit. 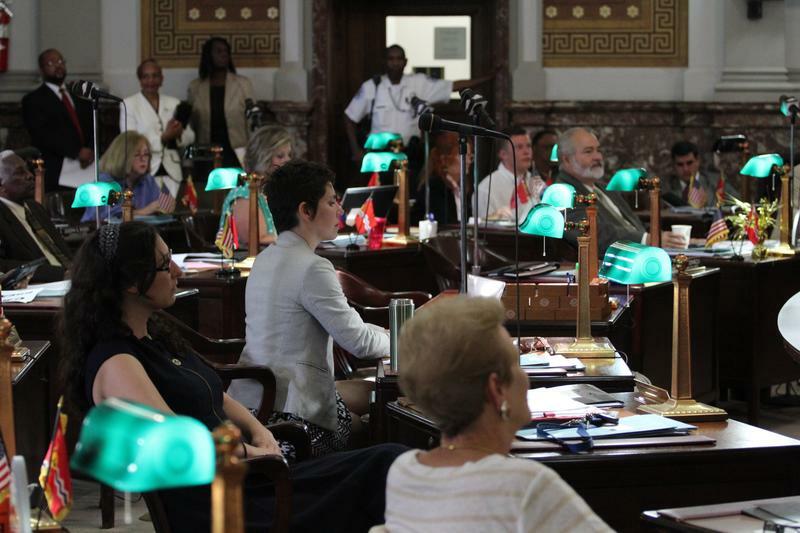 Aldermen will meet Monday to begin discussing proposed budget increases and decreases. By law, each increase has to be matched with a corresponding decrease elsewhere in the budget.